a cross between the Creature from the Black Lagoon, a crocodile and a werewolf. Black levels,are also satisfyingly deep and satisfying with no signs of unintended crush and plenty of shadow detail where it counts. Contrast is also simpatico allowing plenty of detail to shine through although this does have an inherently soft look typical of the era and budget, especially during optical wipes and scene transitions which are gimmicky and designed to remind the viewer of a comic book. There are no blown out highlights. Grain is consistent and ever present becoming courser during murkier moments at night and in some of the doomy swamp exteriors. I noticed no digital artefacts or encoding woes; this is probably the best encoded of the three editions that I have which is not to see that the German or US discs fall terrible short on that front. To lay folks and casual viewers there will appear to be no differences at all. 88 Films have done a fine job in bringing this cult classic to Blu-ray in a fine transfer that matches the quality of the very good German mediabook (which also had the uncut version) and slightly pips the US Shout! Factory Disc in terms of quality; 88 Films have a superior encode. Shout's disc remains essential for true fans due to having the cut US some additional extras not ported over here (why?). 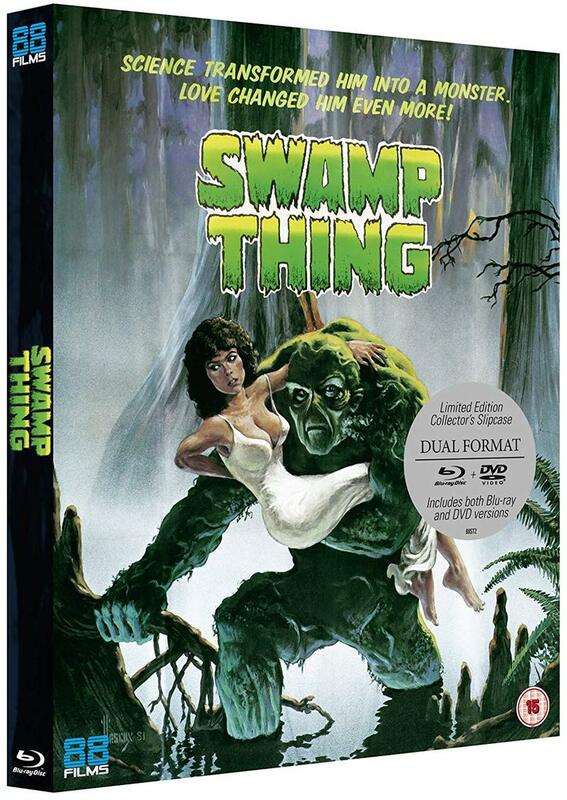 If there was only one disc worth getting though it's the 88 Films' release; great transfer; it has the essential Craven-Clark commentary (also on the US disc) and the Kim Newman interview which is easily the best of the featurettes available across the Blu-ray releases. The DVD is a bog standard, barebones eddition with decent image and aound but it obviously can't hold a candle to the definitve BD also included. It only includes the trailer as well which will be disappointing to those who bought this set for that who haven't yet gone Blu-ray (why?). At least it's a new anamorphic presentation which obviously pips the old MGM letterboxed transfer.